Stuart and Heather Morrison have been dairy farming in Rotorua for almost 35 years. 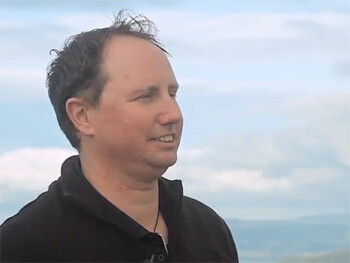 In this video Stuart talks about how he optimises nitrogen efficiency to maintain profit and reduce nitrogen losses to groundwater. 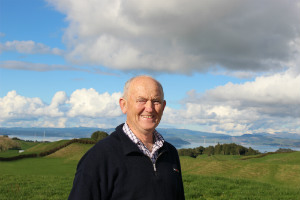 Stuart and Heather Morrison have been dairy farming in Rotorua for almost 35 years. They currently milk 480 cows on 215 hectares, with a further 70 hectares in native bush and forestry. Today Stuart talks about how he optimises nitrogen efficiency to maintain profit and reduce nitrogen losses to groundwater. I’ve found that to succeed in farming you need to make sure all the parts of your farm system fit together and you must adapt as you learn. One part that is particularly challenging is nitrogen management. I’ve been working on reducing my nitrogen leaching for 10 years. One way of tackling that is to be efficient as possible with nitrogen use. This means getting the best production for the amount of nitrogen you put in, whether that nitrogen comes from fertiliser, feed or clover. More nitrogen going out in product means also means less nitrogen available for leaching. We’ve dropped our annual N fertiliser rate from about 150 kilograms a hectare to 100 and we have also dropped our stocking rate. We also crop turnips, import a mix of feeds and winter-off half the herd for 6 to 8 weeks. The key to making this work well is to maintain a high pasture utilisation rate because grass is the cheapest feed you can get. Due to our lower stocking rate, we need to turn a lot of spring pasture into silage and feed it out later in the season. We’ve developed our farm with a series of improvements to soil fertility, fence alignment and paddock contour. The re-contouring has been done in association with crop rotations and pasture renewal. It’s one of the little things that adds up to growing more grass at low cost. Clover is an essential nitrogen input to our farm. Clover content was knocked back by the root weevil but the parasitic control wasp seems to be on top of that now. That’s helped us cut back on fertiliser N.
We’ve just had Glenn from Ballance do the N-Guru analysis for us. N-Guru is a new tool from Ballance Agri-Nutrients that helps farmers optimise their use of N fertiliser. Soil with a lower total N test will typically give a greater pasture response to N fertiliser than a soil with a higher total N test. On Stuart’s farm, I took seven soil samples from different blocks and had them analysed for total soil N content. N-Guru showed small differences across blocks in pasture response to N fertiliser, as the soil N results were similar. This gives Stuart confidence that he can apply N fertiliser on all areas of his farm with little difference in pasture response rate. We’re looking for further ways to optimise our farm system through a project with GSL, or Grazing Systems Limited. GSL have modelled several combinations of stocking rate, fertiliser and feed inputs. I’ve studied cow genetics for many years and have focused on higher productivity kiwi-cross cows with good fertility. More productive cows convert more grass into milk. Our cow empty rate is about 10%, less than the industry average. The lower replacement rate means more of the herd is milking and making you money for the same total inputs. This carries through into greater overall nitrogen efficiency. The key message is to always be open to new ideas and try the ones suited for your physical farm resources and your management style. It will normally be the a combination of several on-farm actions that helps you get the most profit out of your nitrogen inputs while reducing leaching. Nitrogen efficiency gains were assessed by comparing Stuart’s current and previous farm systems. An OVERSEER analysis indicates that nitrogen leaching from the dairy business decreased by 17% per hectare. Nitrogen conversion efficiency is the ratio of nitrogen exported in product divided by total nitrogen inputs – this improved from 20% to 27%. FARMAX indicates that profitability increased by 43% per kilogram of nitrogen leached, at a $6 pay-out. An OVERSEER analysis indicates that nitrogen leaching from the dairy business decreased by 17% per hectare. Nitrogen conversion efficiency is the ratio of nitrogen exported in product divided by total nitrogen inputs – this improved from 20% to 27%. FARMAX indicates that profitability increased by 43% per kilogram of nitrogen leached, at a $6 pay-out. High BW (breeding worth) cows improve N efficiency by converting more feed N into milk and less into urine. High BW cows generally also live longer with fewer problems with mastitis, lameness and fertility (see DairyNZ’s 2014 document on Genetic Improvement). DairyNZ has produced a guide specifically focused on Reducing nitrogen loss. Ballance’s N-Guru factsheet outlines how the N-Guru tool works and gives a case study of potential nutrient and economic benefits. The Fertiliser Association of New Zealand (FANZ) has produced comprehensive booklets: Fertiliser use on New Zealand dairy farms and Fertiliser use on New Zealand sheep and beef farms. Nitrogen inputs include the fertiliser, imported feed and clover fixation. These need to be considered in combination within a farm system context as there are feedback loops that impact productivity, profit and nitrogen leaching. Optimising nitrogen efficiency is a combination of many factors that need to be customised for each farm, and this will also vary depending on input costs and product price. It is important to look at costs and benefits at the ‘margin’ e.g. what is the cost, profit and N impact of the last kilogram of applied N fertiliser. A Compendium of New Zealand Pasture Farmlet Experiments Measuring Nitrogen Leaching. By Watkins and Shepherd, FLRC Proceedings (2014). Nutrient Conversion Efficiency on Farm – Lessons From Overseer® Examples. By Wheeler, Power and Shepherd, FLRC Proceedings (2011). Application of resource allocation optimisation to provide profitable options for dairy production systems. By Anderson and Ridler, NZ Society of Animal Production (2010).